This stylishly furnished two bedroom, two bathroom home has been purpose built for holiday accommodation and offers all the amenities including WIFI, SKY sports/movies as well as a large deck with outdoor seating and BBQ. A perfect accommodation choice for couples, singles or families. The property is located in the stunning Te Whau area convenient to wonderful walking tracks, the 240 hectare regional park as well as Batch and Peacock Sky vineyards, the airfield and the Eco-zip line. 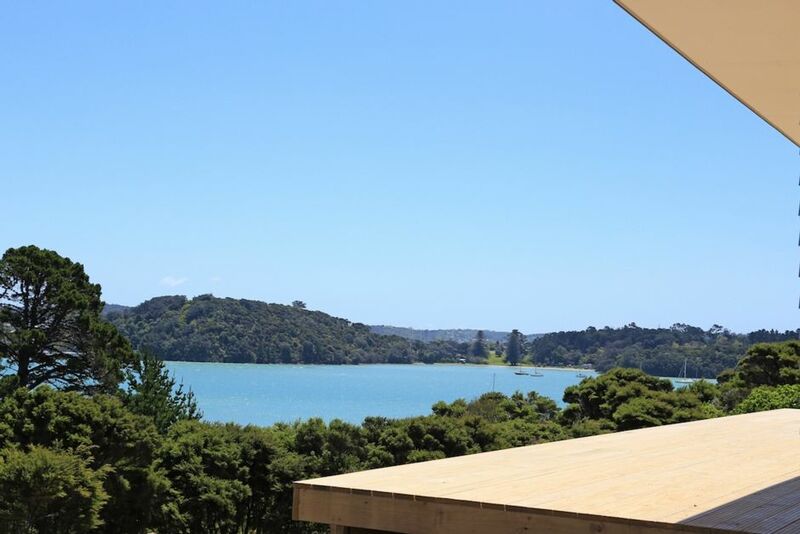 Te Whau is in close proximity to the Onetangi wine valley with several award winning vineyards and restaurants including Miro/Casita Miro, Stonyridge, Te Motu and Obsidian within easy reach. Picturesque Onetangi beach with it’s 2.5 kilometres of white sand and seaside cafes is within a ten minute drive of the property. Please note - There are 2 bach's on the property available separately or together. A vehicle is available for hire with this property. Please enquire for rates andamp; availability. Beautiful location, well appointed accommodation- would definitely recommend to others. Nice attention to detail throughout. Kitchen has everything you need, loved the en-suite for each bedroom and the deck was fabulous- great views and peaceful. Lovely, lovely, lovely!!! We had friends come from Australia for a holiday of which they wanted to visit Waiheke. We could not believe our luck on finding this little gem - not only being brand new but for each couple to have their own bathroom was perfect!. The views are stunning. The place was lovely and clean with plenty of space for 4 adults. Would happily stay again and would highly recommend. We dealt mostley with Janine and she could not do enough for us - perfect service.